The Grand Budapest Hotel Tops BAFTA list with 11 nominations. 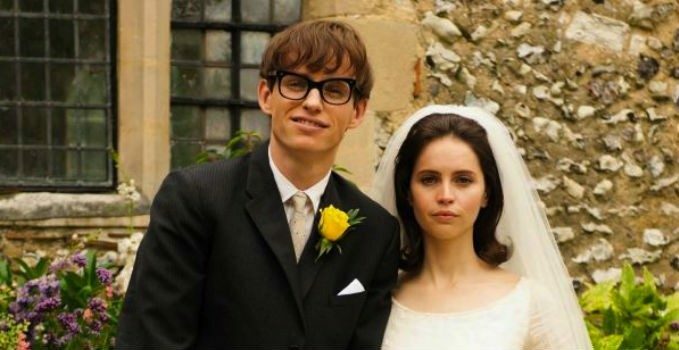 Also earning 10 nominations was James Marsh’s The Theory of Everything. The very British Stephen Hawking bio had a little bit of an advantage as it placed in not only the Best Film category but also in BAFTA’s singular Best British Film category. Also earning slots in both film proper and British film races was The Imitation Game, another top drawer British film that earned 9 nominations. Somewhat surprising, Marsh earned a directing nomination, as Imitation‘s Morten Tyldum did not. Other British films that earned nominations for Best British Film were the fact based ’71 starring Jack O’Connell, Pride, which tells the true story of the unlikely alliance between gay activists and striking coal miners in Thatcher-era England, Paddington, based on the classic children’s books, and the science fiction oddity Under the Skin. Neither of those films will likely factor into the Oscar race however they are all eligible with the exception of ’71, which will open in the United States this spring. Despite a fair amount of hometown pride gracing the BAFTA list, for the most part the nominations played mostly to the script already established in the awards season. Films on the American indie stream like Boyhood, Whiplash and Nightcrawler all performed rather well– Whiplash earned a surprise Best Director nod for Damien Chazelle and Nightcrawler earned nods for screenwriting and the performances of Jake Gyllenhaal and Rene Russo. A few of these mentions may have actually come at the price of another British film that looked to contend well with BAFTA: Mr. Turner, Mike Leigh’s biography of famed British artist J.M.W. Turner earned four technical nods but missed out on bigger mentions like Timothy Spall’s acclaimed leading performance and even Best British Film. Last year, 12 Years a Slave won the top award with the British Academy. The BAFTAs will be held on February 8th in London.